A printed version of this story incorrectly states the reason for Schrimpsher's departure from the King County Sheriff's Office. This story has since been updated for accuracy. James Schrimpsher had been a town council member for six years at the time of his resignation. He and his family have lived in the town of Eatonville for 18 years. His service as a council member was very much valued both Mayor Mike Schaub and other council members who had much praise and commendation for the experience and expertise he brought to the table. Schrimpsher likewise says he is proud of the work that he has done for the town of Eatonville, especially around budget and infrastructure. 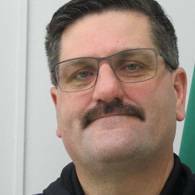 Before he joined the Eatonville Town Council he was a deputy for the King County Sheriff’s Department. He was removed from the sheriff’s department after an internal investigation found Schrimpsher was dishonest about a drug arrest he made in 2013. He then joined the Algona Police Department as a detective. Schrimpsher shined as a local politician and served on many boards and committees. Schrimpsher served on the Public Safety Committee, Finance Committee, Parks and Recreation Committee, and Animal Control Committee while it was still around. He also served on the Pierce County Regional Council advocating for the town of Eatonville and as Mayor Pro Tem. “He was really knowledgeable about the budgeting process and about public safety. So, I think he was able to steer the council conversations on those subjects. […] I think he kind of a mentor to all of us in those areas, especially public safety.” Councilmember Robert Thomas said. Mayor Mike Schaub also echoed that thought adding even in disagreements over topics, Schrimpsher was open to discussion. Schrimpsher’s term was up at the end of the year, so he determined it was an apt time to resign. “I did not intend on running for reelection. It’s a good time to get some else interested. I believe in term limits anyway, if you check my record, I’ve advocated for it several times and I think the only way to get people involved is to create a spot for them to get involved,” he said. This was compounded by a desire to create more time for his professional duties in law enforcement and duties toward his family. Not much interest had been generated in the position prior to his resignation, so he said that he hoped his resignation would create a space for others to get involved. “After listening to people, nobody was really interested in running for my position and leaving actually kind of forces someone to step up. And get involved, so I believe that new ideas are good, change is good” he said. Schrimpsher said his work on the town council had been very rewarding and that he was happy to have worked toward improving quality of life in Eatonville. “I think things that we have in place now definitely benefitted from him. I’m very appreciative of [..] the effort he put forth and his time served because it definitely is better than when he, I believe, came on,” said Schaub. The position is currently unfilled, with the position having been posted on social media and other places. The town council is now receiving applications that will be reviewed by the Mayor in mid-April.